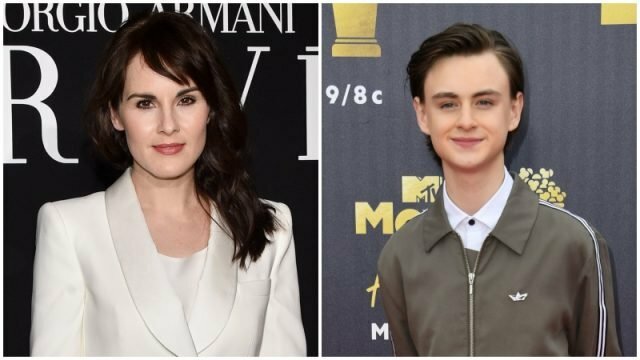 Deadline reports that Michelle Dockery (Downton Abbey) and Jaeden Martell (The Book of Henry, It) have been tapped for leading roles in Apple’s forthcoming miniseries adaptation of William Landay’s bestselling novel Defending Jacob. Dockery and Martell will be joining MCU star Chris Evans who will also serve as an executive producer. Dockery is set to portray the role of Laurie Barber, who is the wife of Evan’s character Andy while Martell will be playing their son named Jacob. The miniseries will have eight-episodes with Mark Bomback as showrunner. RELATED: The New Avengers: Endgame Trailer is Here! Defending Jacob is described as a a gripping, character-driven thriller based on Landay’s 2012 novel published by Random House. The book tells the story of a father dealing with the accusation that his son is a 14-year-old murderer. Written by Mark Bomback (Planet of the Apes) from Landay’s best-selling novel, the limited series will be produced by Paramount Television and Anonymous Content. The Imitation Game director Morten Tyldum will direct the series and executive produce alongside Evans. Warner Bros. originally planned to adapt Defending Jacob into a feature film back in 2012, but nothing ever materialized. Dockery is best known for her critically-acclaimed performance as Lady Mary Crawley in the hit period drama series Downton Abbey for which she earned three consecutive Emmy nominations for Outstanding Lead Actress in a Drama Series. She will again reprise her role as Lady Mary Talbot in the film adaptation of the award-winning drama series. Martell formerly known as Jaeden Lieberher gained recognition through his breakout role as the young Bill Denbrough in the 2017 horror film It, based on Stephen King’s iconic novel of the same name. He will next be seen in the It: Chapter Two starring alongside James McAvoy and Jessica Chastain.